(born 17 May 1957) is a Danish writer of fiction. Høeg was born in Copenhagen, Denmark. Before becoming a writer he worked as a sailor, ballet dancer and actor in addition to fencing and mountaineering - experiences that he uses in his novels. Høeg published his first novel, A History of Danish Dreams, in 1988 to very positive reviews. Over the next five years he wrote and published the short story collection Tales of Night and the novels Miss Smilla's Feeling for Snow and Borderliners . It was Miss Smilla's Feeling for Snow that earned Høeg immediate and international literary celebrity. 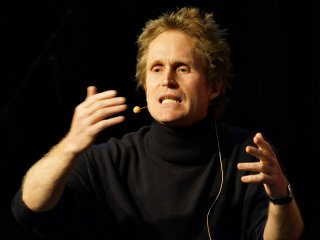 In 1993 he won the Danish booksellers award De Gyldne Laurbær and the Danish Critics Prize for Literature for his book De måske egnede (Borderliners).